Avail from us the highly efficient spray painting booths that offer premium quality spray painting and are low in power consumption. These booths are sturdily manufactured using premium grade material and are easy to assemble, install and maintain. These are environmental friendly as the painting area and outside is free from volatile vapors and pigments. We are offering world class spray painting service to different types of products such as construction machinery, mining machines, all types of heavy and lite fabricated equipment. Spray painting is a painting technique where a device sprays a coating (paint, ink, varnish, etc.) through the air onto the surface. The most common types use employ compressed gas – usually air – to atomize and direct the paint particles. - Does not leave Brush marks. - Ideal for painting on mild steel. 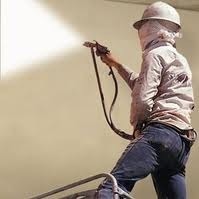 Our company has attained a renowned place in the market for rendering Epoxy Spray Painting Service. These are extremely admired in the market for flexibility and timely completion. 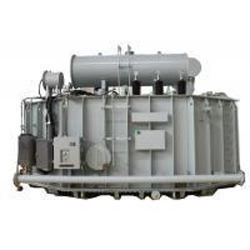 Along with this, provided service is rendered at nominal costs to our valued customers. We provide our clients with spray painting services with the help of spray guns in the environment friendly spray booths to provide an even look to the painted surface of plastic and rubber components. Our services meet the demands of engineering, lighting, home appliances, surgical & medical, electrical and various other industries at the most competitive prices. This is handgun operation used for lower volumes. Typically meant for requirements less than or equal to two manual operator systems. Surfin is working with internationally renowned application equipment companies to offer the customers, best possible optimum spray equipments.